We now live in a world where climatic patterns are increasingly becoming unpredictable. Even worse, extreme weather conditions such as prolonged periods of drought are more prevalent and more severe. Such conditions are quite problematic for homeowners who have a liking for a healthy green lawn. Even when you make a huge effort to keep your lawn green and healthy, there is little to no guarantee that our efforts will suffice when drought hits. Chances are that you every so often you will have to contend with dead grass on your back or front yard. It, therefore, makes sense to acquaint yourself with the best way to bring back to life to a brown lawn. Below, we will explore some of the best tips from http://discoverziehler.com/ you can use to bring your dead grass back to life. In many cases, the death of a lawn is pretty obvious and, therefore, easy to identify. However, sometimes the cause of your lawn browning cannot be easily identified. Other times, the browning of your lawn can be attributed to a variety of causes. With this in mind, you need to determine the precise cause(s) of browning, and thereafter determine the best remedial action to take to breathe life back to your lawn. 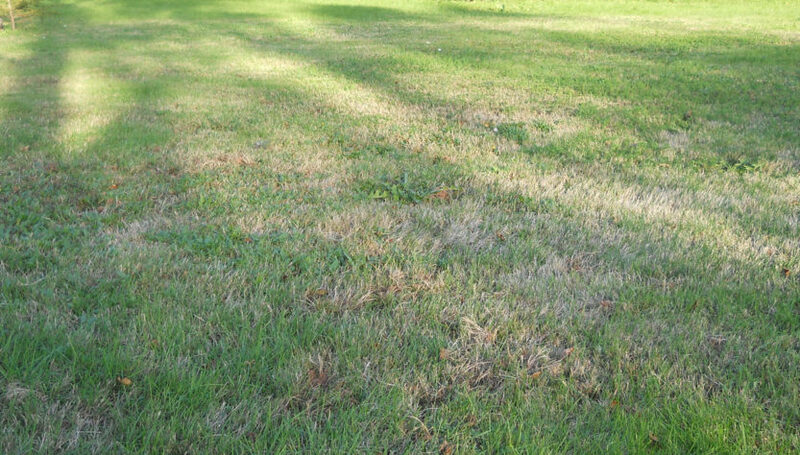 Drought – Drought is a pretty obvious cause of your grass browning. Additionally, it is one of the main causes of dead grass across the country. Typically, grass goes dormant after a period of 2 to 3 week without water. After a period of 5 to 6 weeks without water, the roots begin to dry due to the low moisture content in the soil. As such, the grass starts to brown. Moreover, when faced with a drought, many councils place water restriction on the water, meaning homeowners can rarely water their lawns even if they want to. Improper Watering – While lack of water can cause your lawn to die, an abundance of water can also cause it to die. For instance, frequent and shallow watering causes the grass to have weak roots that can barely withstand summer heat, which is not good for the overall health of the grass. Additionally, flooding your lawn with water every-so-often affects the aeration of soil, which can cause the roots to rot and die. Poor Aeration – As mentioned above, poor aeration caused by the excessive water of your lawn can cause its death. However, there are other causes of poor aeration, including soil compaction. Over time, as water percolates through the soil, it fills air pockets. When the water infiltrates deeper into the soil, spaces are refilled with air. This movement of water causes the soil to compact, with overtime reduces the capacity of the soil to hold air. This has the negative effect of reducing the supply of oxygen for roots, which can cause their death. Thatch – Thatch is essentially a thick layer consisting of decomposing bio-matter such as roots, stems, leaves, and other organic material. This thick layer builds up above and below the roots of the grass and affects the roots ability to draw in water. This eventually causes the death of the grass in patches. To determine whether the death of your grass is due to thatching, dig out a 2-inch chunk of grass and soil material. A healthy lawn should have about ¾ of an inch thatch between the grass leaves and the soil. Improper Mowing – Mowing is an important part of ensuring that your grass remains healthy. As such, you need a proper mowing schedule and proper mowing tools. If you do not mow as frequent as need, you can expect our lawn to grow excessively long and unhealthy. With regards to mowing tools, you need a mower that does not cut grass too low as this will leave the soil exposed to the elements and, therefore, susceptible to drying and dying. Pest Infestation – When your lawn is infested with insects, it is susceptible to dying. Grabs are some of the most notorious lawn pests there is and they infest lawns that are excessively watered and fertilized. To determine whether your lawn is dying due to pest infestation, just pull the dead grass. It will lift easily and the roots will have numerous insects. Typically, the death of your lawn will be attributed to the one or more of the above causes. However, there are other causes which include fungal infection, poor soil fertility, salt damage, and pet urination. Once you have identified the cause of death, it is time to remedy the death. At this point, you need to craft a remedy specifically targets the cause of death. In the case of drought, while it is still in progress, keep off the grass, aerate the soil, keep on mowing, and mulch the grass with the clippings (do not collect the clipping every single time you mow). Also, deep irrigate whenever you can. This will ensure your lawn, though dormant, survives the drought. Once the drought is over deep irrigating as much as possible and within 3 to 4 weeks your lawn will be healthy as it has ever been. When the death of your of grass is caused by improper watering, you should start using proper water methods. For instance, you should avoid frequent shallow irrigations and instead deep irrigate the lawn once a week, providing the lawn with an inch of water. For thatch-caused deaths, you de-thatch anything more than the recommended thatch thickness. Thereafter, take proper care of your lawn for rejuvenation. When the death is caused by improper mowing, adopt proper mowing techniques such as mowing once every week and leaving a 2 ½ inch grass height (or 3 inches during the summer) use high-quality mowing. As for infestations, whether pest or fungal, you use control measures that are gentle to the grass. For aeration problems, bore small holes into the soil to increase the aeration of the soil. Once your grass comes back to life, you should take steps to help it throve and thicken. For instance, you should regularly weed your lawn to reduce the risk of infestation and reduce nutrient competition. You should also feed your lawn. Organic fertilizers such as liquid seaweed come in handy when you need to supply nutrients to your grass. Finally, make a point of mowing regularly as this allows your grass to grow quicker and recover much faster.